Thank you for signing up for VolleyNova! 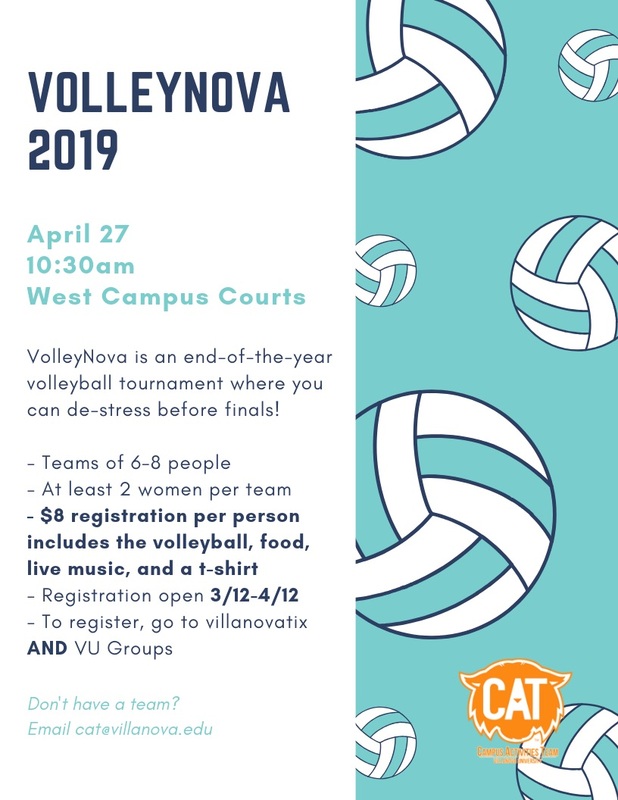 VolleyNova is a campus wide volleyball tournament taking place on Saturday, April 27 from 10:30-3:00 on West Campus. The event will happen rain or shine. Teams must consist of 6-8 players and each team must have 2 women. The tournament fee $5 per person must be submitted and teams must sign up on VUGroups. The event will consist of volleyball, music, food, and more!